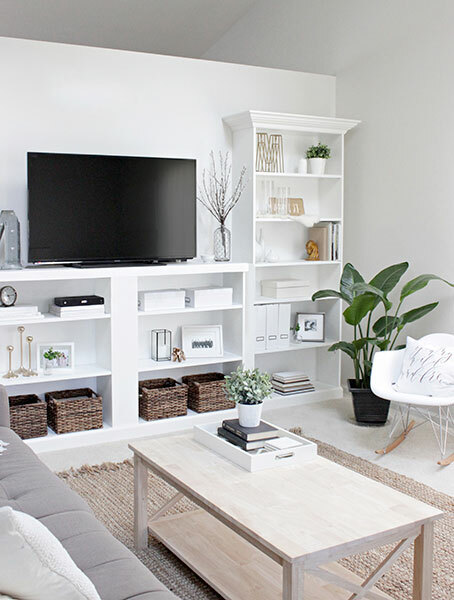 Follow these easy steps to get rid of unwanted stuff in every room of your house. Get rid of anything needing repair—that toaster that only heats one side of the bread—or impulse items you never use, like a yogurt maker. "Don&apos;t hang on to spare lids or tubs without tops," says Andrew J. Mellen, author of Unstuff Your Life! And pare down to five or six basic pieces. For recycling information, check online at 1800recycling.com. Recycle what you don&apos;t need to file long-term: expired coupons, old party invitations, out-of-date school activity calendars. Weed out dead batteries and dried-up markers. Take empty printer cartridges to any Staples store for credit. Toss or recycle things you don&apos;t use regularly, like old notepads, stray Post-its and rubber bands. Make it a rule: When a new issue or catalog comes in, the earlier one must go. Visit catalogchoice.org to unsubscribe from more than 4,000 companies' mailings. Ditch those Indiana Jones VHS tapes and remote controls to devices you've long since replaced. Convert family videos to digital files at a site such as imemories.com. Keep two weeks' worth of school-appropriate tops in the rotation and just a few worn-out T-shirts for sports or mowing the lawn. Discard all but one pair of grubby sneakers, and keep those in the mudroom. Pass on anything your kids have outgrown—if it's in good shape—to a younger friend or donate to a thrift shop. "Paint and expired chemicals should never be stored in a non-climate-controlled environment," Mellen says. Fill a touch-up dispenser, like Rubbermaid's Paint Buddy, with your matching wall paint and get rid of the rest. Pouring these substances down the drain or tossing them in the trash is generally banned. For disposal information, check with your local sanitation department or earth911.com. Eliminate broken or rusted lawn mowers, spades and leaf blowers as well as any duplicates—no household needs three rakes. Hanging on to empty cartons may seem like a good idea, for shipping gifts and storing items, but they hog space and tend to break up over time, says organizer Laura Leist, of eliminatechaos.com. Bonnie Joy Dewkett, of The Joyful Organizer, suggests a simple litmus test for tired lights and ornaments. Ask yourself if you displayed the item in the last year. If not, cast it off. Free up floor space by weeding out any shoes that are uncomfortable or beyond repair. Give your closet room to breathe by collecting wire hangers to recycle at your dry cleaner. Create a uniform look and save space by replacing mismatched hangers over time with ultra-thin ones like Joy Mangano's Huggable Hangers, hsn.com, $48/48. 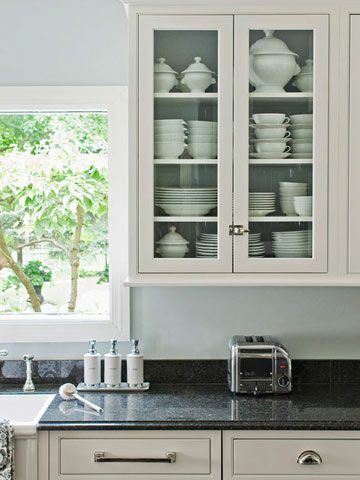 Pare down jars and bottles to only what can be stored in drawers—you want clutter-free countertops. Give away duplicates and toss anything expired. Threadbare towels and mismatched or torn bed linens can be ripped into squares for cleaning and dusting. "But be realistic about how many rags you actually need," Mellen says. He suggests checking with a local vet or animal shelter that accepts old towels. Don't hang on to boxes and bottles of underperforming softeners and detergents. Everything you need for cleaning day should fit on one or two shelves or on a nearby table. Clear out the jumble of cleaning tools and supplies on the floor around the washer and dryer. Dispose of anything you're not using or that can't be placed in a closet, on a shelf or on the wall. Limit the number of winter coats each family member keeps and store or donate the rest. Find a local coat drive near you at onewarmcoat.org. Move off-season gear—like hockey sticks or baseball bats—to the garage. Donate or resell what your kids have outgrown. Originally published in the August 2012 issue of Family Circle magazine.